The host hotel for the 2019 meeting is the Kimpton Epic located approximately 8 miles from the Miami International Airport. Note that the link below is not available on mobile devices. We have a limited number of rooms at a discounted rate of $239 USD per night, excluding taxes. The deadline to book your room is April 18, 2019, at 5pm EST, or as long as rooms last, whichever comes first.  We have contracted the discounted rate three nights pre- and post- User Group meeting (Saturday, May 11 – Sunday, May 19). To make reservations, please click on the "Reserve Now" button below. Reservations can also be made by calling +1 800-546-7866 and requesting the "TAI User Group 2019". All reservations need to be guaranteed with a credit card. If you need to cancel your reservation, you must do so 48 hour prior to your arrival in order for all deposits to be refunded. Please be aware, those attendees unable to reserve rooms at the Kimpton Epic will need to secure lodging and transportation to the meeting on their own. Kimpton Epic is entirely non-smoking. Hotel check-in is 4 p.m., and check-out is noon. Room rates include access to in-room wireless Internet. 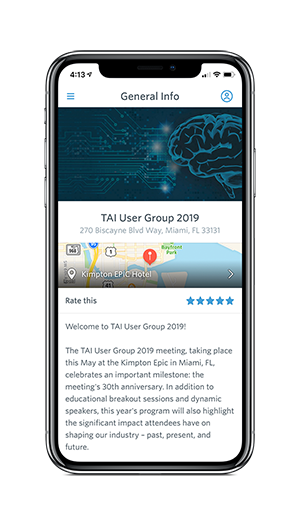 For this year's User Group we've partnered with Guidebook once again to create a mobile experience for you during the conference. The app can be used on your iPhone, iPad, or Android device. By downloading it and logging in with your registration e-mail, attendees can view the attendee list, access personalized schedules, receive important updates, participate in live polls, and much more. For those without an Apple or Android device, we've created a mobile web-version that can be used on any internet-enabled device. How to access the app on mobile devices. How to access the app from your desktop. Open a web browser and visit this link. We’ll provide a quick recap on how to download the app at the User Group. If you have any questions about the app, you can email support@guidebook.com for help..
Attendees are responsible for their transportation to and from the User Group meeting. Transportation includes booking airline tickets and any shuttle service, Uber ride, taxi, or rental car. Miami International (MIA) airport is located 8 miles from the Kimpton Epic. Major airlines at MIA include Air Canada, American, Delta, United, Frontier, and Alaska. Taxi fare is approximately $30 one-way from MIA to the hotel. MIA has rental cars available from all the major carriers, but reservations are recommended. Valet parking at the hotel is an additional $42 per night plus tax (subject to change). Please note that the hotel charges $57 for oversized vehicles. Upon arrival at the hotel, public transportation is readily available for travel throughout the downtown area. Airport Transportation Option: Super Shuttle (click here) charges $17 one way per person in a shared ride with others headed from MIA to the hotel (prices subject to change). Reservation through the link above is required. 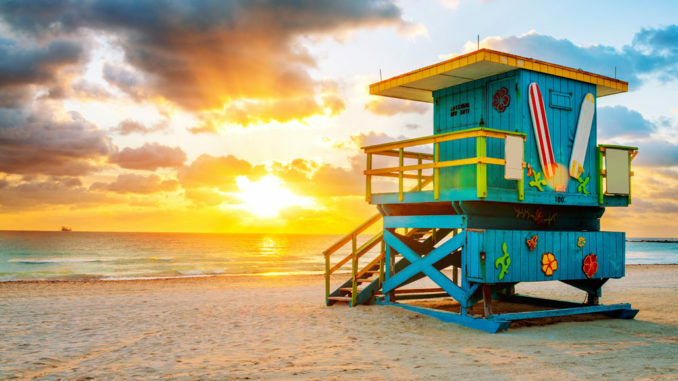 Looking to take some time to discover Miami prior, during, or after the User Group Meeting? From the beaches to concerts to local restaurants, discover what Miami has to offer. All guests are welcome to join the social events held on Wednesday, May 15, and Thursday, May 16. The meeting dress code is business casual. The Thursday off-site event requires walking 2-3 blocks from the hotel.